I will show you the last year or so of sold prices of boats in your target so you know what to expect vs listing prices that are variably inflated. I can show you how to (or do for you) complicated searches (with ANDs and ORs) [and get daily email notification of new listings meeting your wishes]. This way you find out about a new yacht for sale the day it goes on the market [or its price drops into your 'zone'] so you won't miss the best deals that go quickly. I will also serve as your consultant, negotiator and advisor to get the best deal on the best yacht/boat in the best condition, and at no cost You--I split the commission with the sellers broker so neither of you spend more, but your interests are saught by me only serving you. I can walk you through [or handle for you] the purchase process; working with a great surveyor, sea trial, engine survey, lenders [WHO LEND ON ALL AGES and contruction and types], boat yards, transporters, mechanics, etc. There is more to this process than you might expect to be sure of your investment. I will negotiate the lowest possible price with any built into deal additions or repairs you might want to ask for as I have a lot of experience and success in negotiating over 200 deals. I WILL GET YOU THE BEST VALUE! I will ask you questions to clarify your needs and desires that will also save you money by being focussed on your needs and wants to select the best overall vessels for you and your current and future plans. I have handled commercial sales as well. We have 4 kids and 7 grandkids through age 13 that have been on boats and cruises with us, so we know something about what works or does not for families. I have operated over 150 boats including all kinds of sail and power boats up through 50+ footers. Instruction on sail and power boat operations and docking. 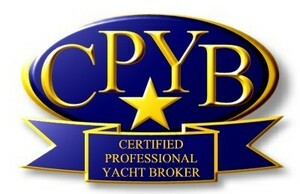 I am licensed and experienced at private and small group instruction on sail and power boats operations and docking. I have taught many dozens of people how to sail and dock both sail and power boats up to 50 ft. 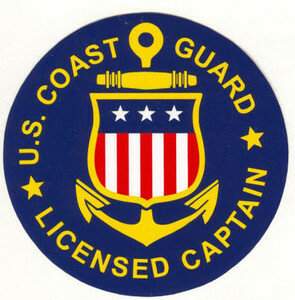 I have my ASA 205 license to teach sailing, cruising, and navigation. Call me [Sandy] at 253-376-8273 or 888-387-1963 or Email me Sandy@WORDyachts.com and we can discuss your boating interests.